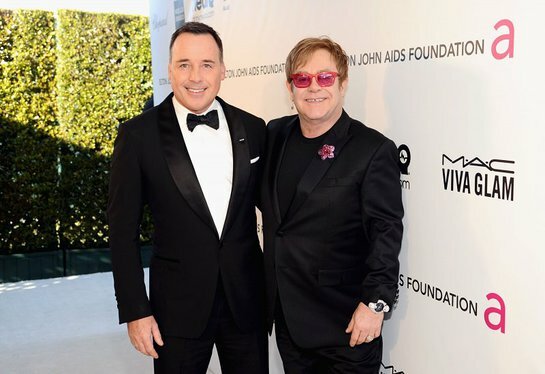 The 21st annual Elton John AIDS Foundation Academy Awards Viewing Party hosted by Sir Elton John and David Furnish raised $6 million for the fight against HIV/AIDS. The gala, which took place on Sunday, February 24, at West Hollywood Park in Los Angeles, was co-sponsored by Chopard, Neuro Drinks, and Wells Fargo; American Airlines serves as the Foundation’s official sponsoring airline. Attendees included Sir Elton John & David Furnish, Agnes Bruckner, Aisha Tyler, Andrew Rannells, Anna Paquin & Stephen Moyer, Ashley Fink, Benji Madden, Bernie Taupin, Billie Jean King, Bono, Britney Spears, Bryan Singer, Carmen Electra, Chace Crawford, Chad Michael Murray, Chelsea Handler, Chris Brown, Chris Colfer, Chris Cornell, Christa B. Allen, Colton Haynes, Dave Grohl, Dustin Lance Black, Emma Roberts, Emmy Rossum, Eric & Janet McCormack, Finola Hughes, George Takei, Heidi Klum, Ian Somerhalder, Jaime King, Jane Lynch, Jane Seymour, Jared Harris, JC Chasez, Academy Award winner Jeffrey Katzenberg, Jenna Elfman, Jennifer Coolidge, Jessica Lowndes, Jim Carrey, Joel Madden, John Ratzenberger, John Waters, Judy Greer, Karina Smirnoff, Katerina Graham, Kelly Osbourne, Kim Kardashian, Khloe Kardashian, Kourtney Kardashian, Kyle Maclachlan, Lucy Lawless, Lydia Hearst, Matthew Morrison, Mehcad Brooks, Melanie Brown, Mena Suvari, Michael Buble, Miley Cyrus, Molly Sims, Naomi Campbell, Natalie Imbruglia, Nia Vardalos, Nicki Minaj, Nicole Richie, Nina Dobrev, Nina Garcia, Paul Wesley, Paz Vega, Peter Facinelli, Petra Nemcova, Quincy Jones, Rachel Griffiths, Randy Jackson, Rose McGowan, Russell Simmons, Ryan Kwanten, Sandra Lee, Sharon Stone, Skylar Grey, Steven Tyler, Terry Crews, Tim Allen, Topher Grace, Wilmer Valderrama, among others. Guests arrived at the Academy Awards Viewing Party for cocktails followed by a gala dinner and viewing of the 84th Academy Awards telecast. 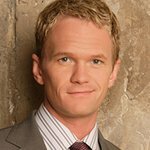 This year, Chef Gordon Ramsay, British celebrity chef, television personality, restaurateur, and holder of 14 Michelin stars, prepared an exquisite 5-course meal for guests that included chilled dungeness crab, braised beef short rib and sticky toffee pudding. The dinner was followed by a lively auction. Auction items included an iconic photograph of Faye Dunaway the morning after she won her Best Actress Oscar for “Network” by famed photographer Terry O’Neill that sold for $120,000; two sets of tickets to join Sir Elton John and David Furnish at the legendary Vanity Fair party that sold for $150,000 each; five days at Steven Tyler’s Hawaiian retreat that sold for $250,000. Sir Elton John also auctioned off four private performances by himself that went for $250,000 each, totaling $1 million. Following the auction, soulful Scottish songstress Emeli Sandé took the stage to perform several songs including hit song “Next to Me,” much to the crowd’s delight. 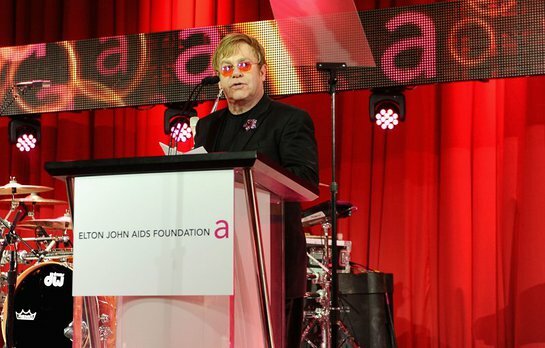 In his remarks for the evening, EJAF Founder Sir Elton John celebrated the Oscar-nominated documentary How to Survive a Plague, praising the extraordinary work of the early AIDS activists portrayed in the film and calling for a renewed emphasis on AIDS advocacy.